Replicating a popular bag in different sizes is a safe bet for designers, as far as accessories go. (See: Celine luggage totes, 3.1 Phillip Lim Pashli satchels, Chanel 2.55.) But it still delights me to see that my two staple bags from this winter have been rendered in miniature form for spring. After all, the full-size versions are great for Monday to Friday commutes to the office. But when the weekend rolls around, shouldn't she be able to tote just the essentials—phone, wallet, keys, lipstick—in a smaller version of a tried-and-true bag design? 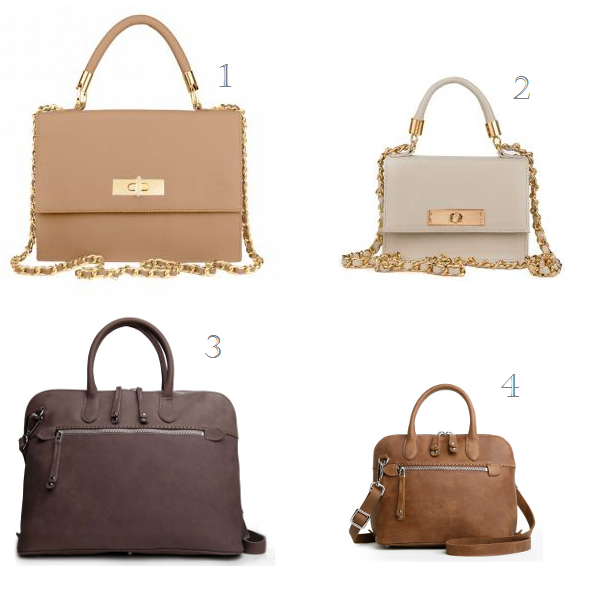 For spring, I'm especially partial to warm, earthy leathers in a lighter palette. All the better to pair with denim jackets, white or blush blazers, and army jackets. The mini size makes them even cuter!